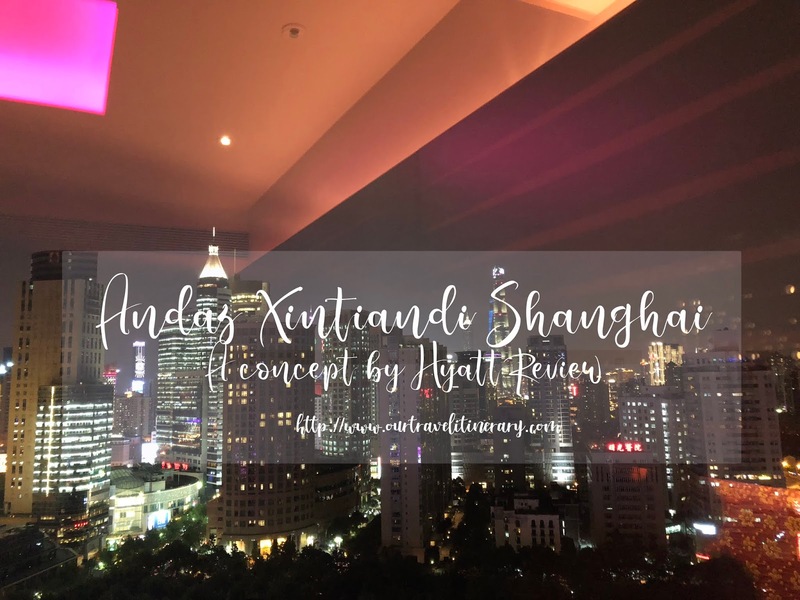 After staying in Park Hyatt Ningbo, we were excited for our visit to Andaz Xintiandi, Shanghai! Located in Xintiandi, a place where ancient design meets modern architecture, Andaz Xintiandi is close to to nightlife such as bars and restaurants. Also, there are many shopping malls next to the hotels. Plus, it is located along Subway Line 1 (Red) l - Huang Pi South Road Station. Fun fact: Andaz XinTianDi actually has the similar design as The Langham XinTianDi. Although similar, they have different target audience. 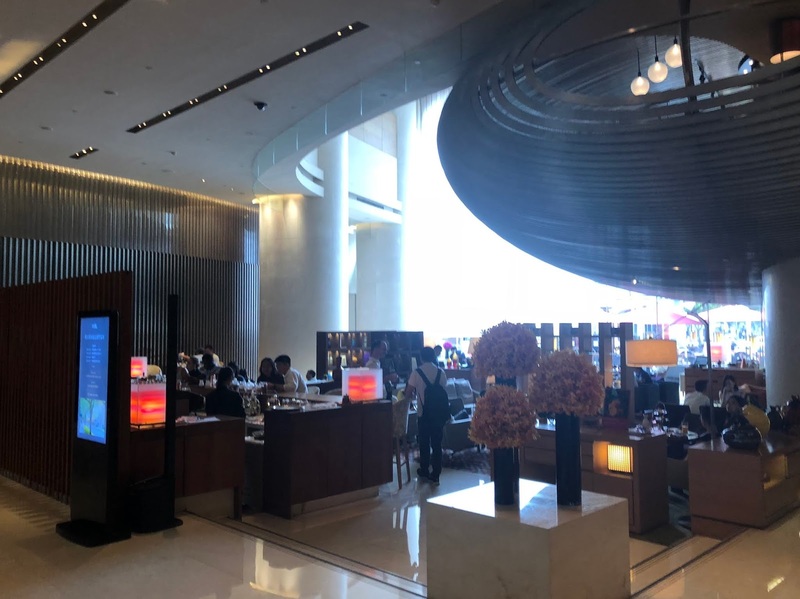 Langham Xintiandi has 362 rooms and cater to business travelers with meeting rooms whereas Andaz Xintiandi has 309 rooms and caters to leisure travelers. 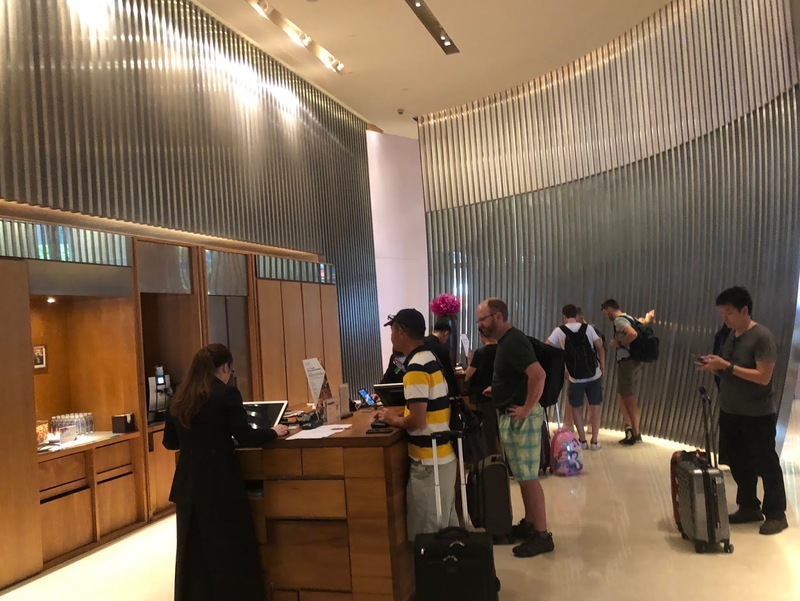 The lobby is separated into three sector - Check in counter, Lounge and access to the rooms. I was surprised that the lounge was very crowded during the late afternoon. Thankfully the check-in was fuss free despite being crowded too. Receptionist were friendly too! We book a King Room and was given a city view but low floor. Nonetheless, we find that the room is very stylish and unique. The rooms are decorated with contemporary design. Plus, the toilet was installed with LED lights. You can change the light according to your mood. Bed is comfortable! Oh and there are free mini bar! (Alcoholic drinks not included) The only downside ? The light in the room is not bright enough. Breakfast is served from 6:30 am to 10:30 am on level 2. The hotel offers an extensive menu from both Chinese and western style. From dumplings, to egg Benedict, there is something for everyone. Despite the extensive menu, there are hardly anything that caught my attention. The dumpling from Xiao Yang Sheng Jian is definitely 10x better. Both H & i are not impressed by the food quality. There is a indoor swimming pool and gym available for in house guest. Also, there are happy hour in the restaurant bar. Free beer and wine between 6pm - 8pm! Definitely something special and good to have! Overall, we love the stay in Andaz XinTianDiShanghai. Comparing to our stay at Hyatt on the Bund, Andaz Xintiandi is way better. The location, room as well as service has won us over. Watch the short video we took from our room below!